Landed early morning noses pressed to the cabin window, full of excitement and expectation. What delights would the Peoples Republic of China hold. Population 1.2 Billion…just let that roll around in your mind… it really is a quite daunting number. We had 60days to roam. We did not want too much time in cities however, the Bund was a must. Also ascending the Pearl of the Orient and admiring the old colonial architecture of Jardine Matheson Trading trading houses dating from the 1860’s. The Huang River, that runs through the city dividing Pudong area east from Puxi in the west. Zhou creek feeds into the main body of water east of the city. 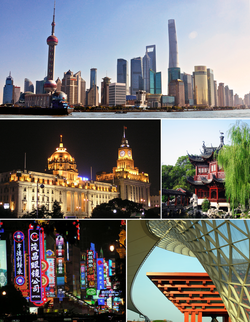 By population,(23million)(2010) Shanghai is the largest city in the world. We found commuting around the city both by bus and underground to be cheap and efficient. Needing train tickets, we ventured to buy them ourselves…I’ll describe our experiece of our descent into Hades in my update..